My push certificate expired, what should I do? Batch servers need to have a valid certificate to communicate with Apple Push Notification Services. Follow that guide to create a new one. 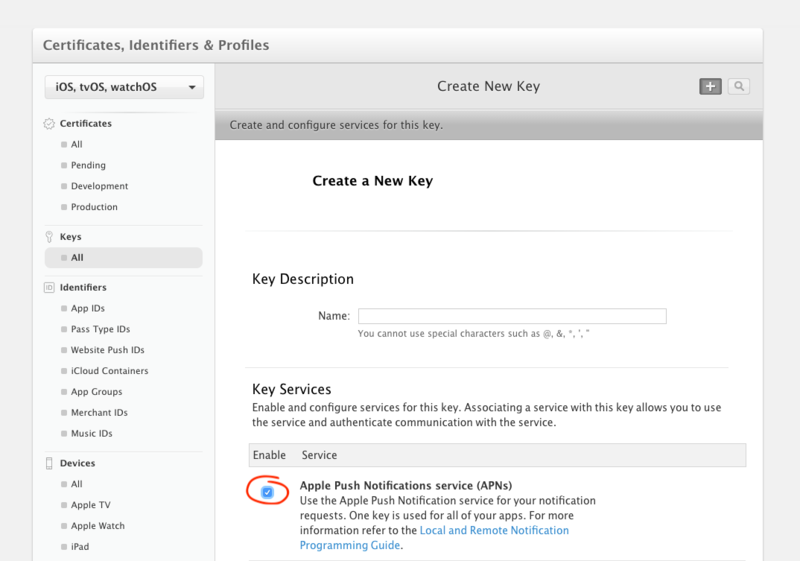 Batch servers need a push certificate to communicate with Apple Push Notification Services (APNS). There are two kind of certificates you can use with Batch: a .p8 file or a p12 certificate, that expires after 12 months. If you stopped receiving push notifications and an error message showed up in the campaigns list, then your p12 certificate probably expired. 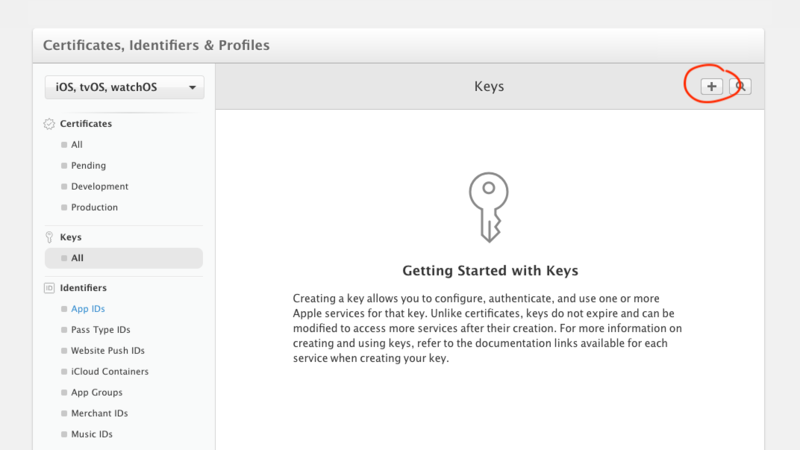 Go to the Apple Developer Member center, then go to the "Keys" menu and add a new key. On Batch dashboard, go to Settings → Push settings, and upload your .p8 file. App ID / Bundle ID: Use the bundle ID you will find in Xcode. You can also use the app ID available from the Developer Console here. Team ID: The team ID is available from the Developer Console here. 🚧 Important note: Make sure you used the correct IDs. We recommend you try sending a push to your device after uploading that new certificate.